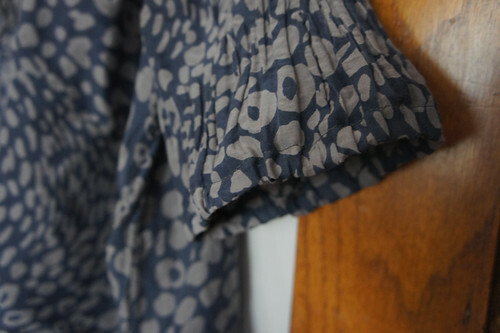 For the quick win: I decided to do some mending on a favorite long-sleeved peasant blouse that I had ripped at the elbow a few years back (to be exact: spring 2011). I just never quite had the guts/time/motivation to fix. I cut off the torn part, and the other sleeve to match, a while ago. 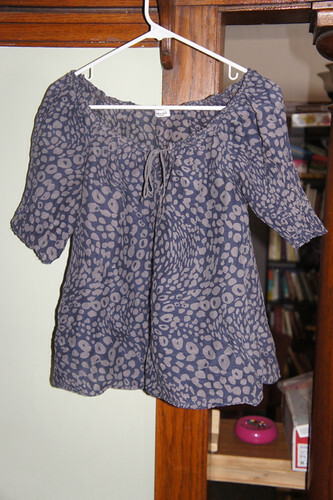 Using the scraps, I had practiced different kinds of hems – this fabric, a super lightweight cotton/silk blend, has an inherent crinkle to it. I just wasn’t sure how to proceed. I finally deconstructed the original hem and found 1/4″ elastic in a casing. 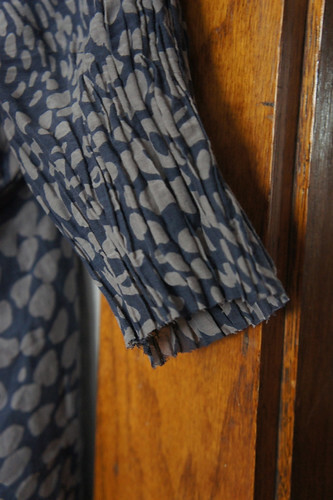 Decided to do the sleeve hem this way…. it was a pretty easy fix and I’m SO happy to have this blouse back in my closet! Yay for you! Looks great! 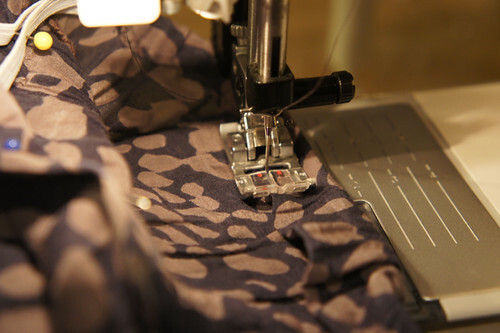 I have absolutely no desire to sew clothes but so glad you do! !